When it comes to the potential box-office gold mine that is a storied comic franchise, Fox clearly believes that if at first (or second) you don’t succeed, try, try again. After a long and winding road, the studio has chosen its cast for the latest attempt to get its Fantastic Four reboot off the ground: Joining Michael B. Jordan as the Human Torch will be House of Cards’ Kate Mara as Sue Storm, Whiplash star Miles Teller as Reed Richards, and Tintin himself, Jamie Bell, as Ben Grimm/the Thing. No word, though, on whether there will be any talking raccoon cameos from their almost gleefully unknown Marvel brethren in Guardians of the Galaxy. 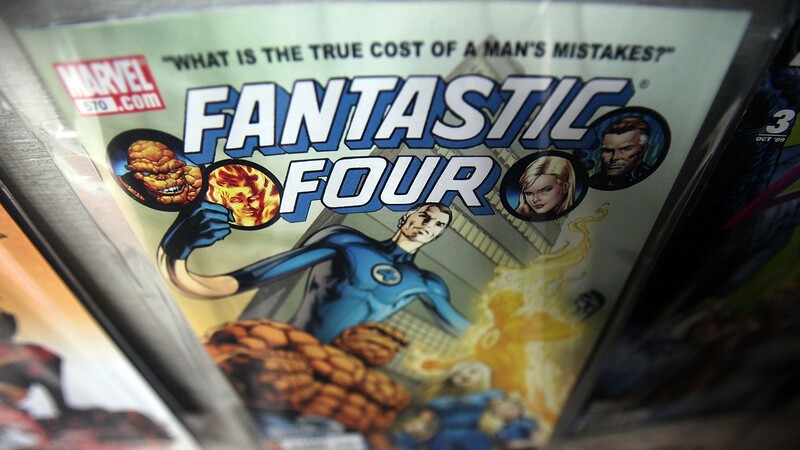 Up to now, there has just been something about Stan Lee and Jack Kirby’s ur-comic The Fantastic Four that seems to defy cinematic transubstantiation. Toilet-paper-thin writing, anemic humor, and phoned-in performances are just the tip of the iceberg. Reed Richards’s dance scene from Rise of the Silver Surfer is so bad it’s been wiped from the Internet, leaving only this trace of the Thing’s awkward bar shuffle as evidence of its horrors. But that pales in comparison to the Roger Corman–produced 1994 film, whose low-budget monstrosity achieves the sort of chees-tastic grandeur that ensures it an Internet immortality that the slicker, blander Jessica Alba films can only dream of. Sure, those two made their hundreds of millions at the worldwide box office — $330 million for the first film and $290 million for its sequel. But considering how iconic these characters are (and the godless amounts of money spent advertising them), that’s more than just a little bit underwhelming. But in casting a who’s who of indie cinema and prestige TV, Fox seems to be setting its artistic ambitions a little higher — which is to say setting any artistic ambitions at all. Jordan and Teller have just about owned Sundance these last two years, Mara is a Netflix princess, and who doesn’t love Billy Elliot? (Though, admittedly, casting the slender Bell as a muscle-bound neon-orange rock monster is a bit of a head-scratcher. But hey, maybe whatever physique he’s been showing off in Nymphomaniac has been more than convincing.) To top it all off, this will mark the second film for director Josh Trank, whose gritty little teenage-superhero found-footage film Chronicle caught everyone’s eye in 2012. Apparently, that was just a test run for the big leagues. So will this finally be a Fantastic Four that can hold its head high, or just a hipster-millenial gimmick that will age as gracefully as Rachel’s haircuts on Friends? Only time — and 100 or so million dollars of digital effects — will tell. Though I would like to suggest one thing to Fox: Come trailer time, maybe take a cue from your lesser-known cousins and raid the mid-’70s pop-rock charts. More cowbell, anyone?